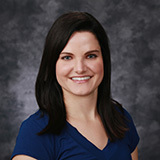 Laura is a graduate of Eastern Washington University with a Bachelor of Science degree in Dental Hygiene. She has worked as a dental hygienist in eastern Washington since 2005 and brings her energy and enthusiasm to Ephrata Community Dental Clinic. Laura also has been an instructor in a clinical setting for hygiene students since 2007.